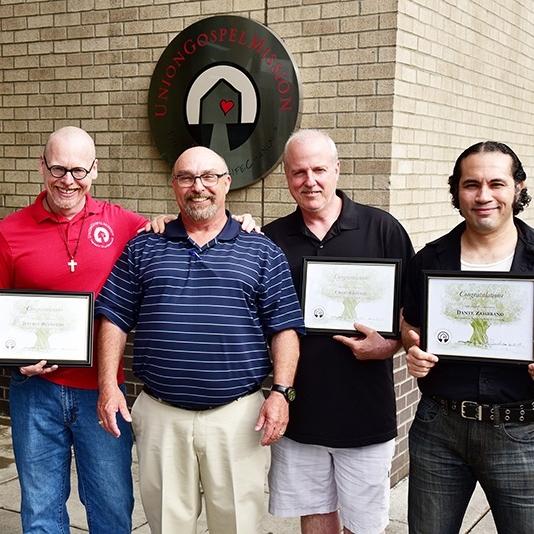 Union Gospel Mission’s men’s LifeChange program provides a place where men struggling with addiction and life-controlling issues can learn to transform their lives. When you join the LifeChange community you live and work with people committed to transforming their lives and breaking free of destructive life patterns. LifeChange is not a clinical treatment “program” or a series of steps. It is an intentional Christian community where people help and support each other to break cycles of addiction, abuse and homelessness and live a transformed and abundant life in Jesus. Are you tired of the life you are living? Have you burned bridges with employers, friends and family? Has your addiction caused you to do things you vowed you would never do? Has your addiction become a trap you can’t escape from? Are you willing to do whatever it takes to change your life? To get an application or learn more about becoming part of LifeChange, contact us using the form below. Or you can call (503) 274-4483. You've taken the first step in changing your life. Thank you! We'll be in touch shortly.